UPDATED June 22, 7:20 p.m.
Cullman City Police Chief Kenny Culpepper says that the scene at Comfort Suites has been cleared. "The call came in just before 7 o'clock and the officers with the Cullman Police Department, Cullman County Sheriff's Office and staff of the hotel searched the premises. After a safe period of time passed we cleared the area." Culpepper says the police department will perform a follow-up investigation. 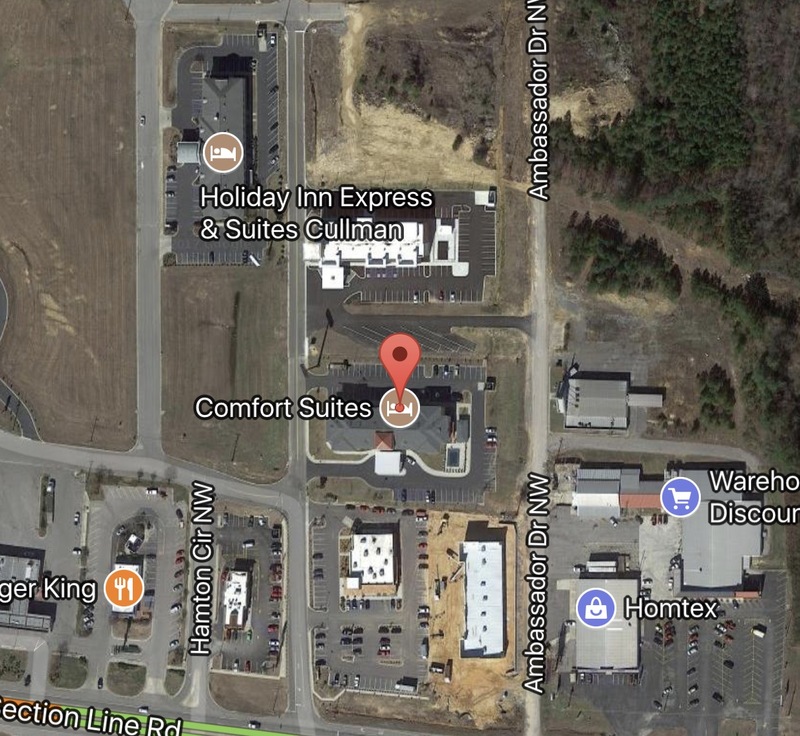 CULLMAN – An evacuation is in progress at Comfort Suites at 2048 St. Joseph Dr. NW in Cullman, following a bomb threat. Members of Cullman Fire Rescue and the Cullman Police Department and deputies with the Cullman County Sheriff's Office are on the scene, according to Cullman City Police Chief Kenny Culpepper.